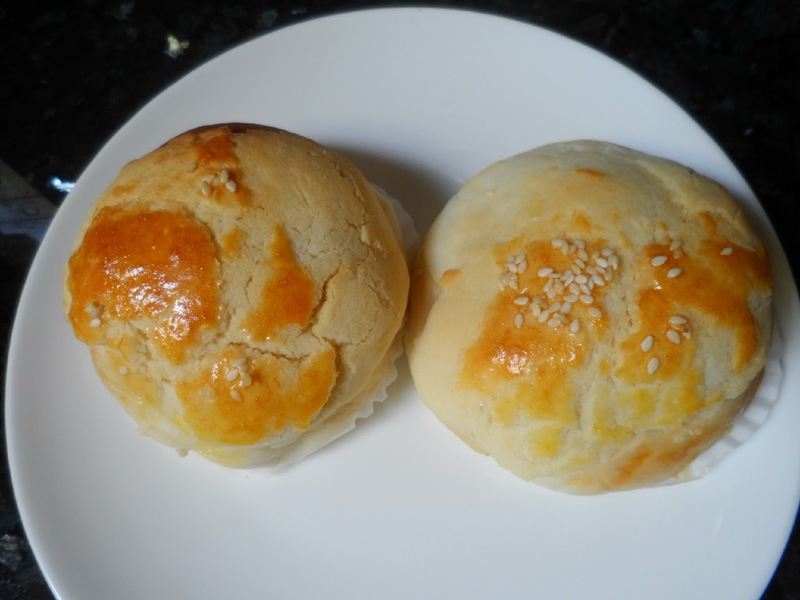 Of all the Chinese baked or steamed buns, my favorite is the pineapple custard bun. If you have never had a Chinese pineapple custard bun, I highly recommend that you give it a try. It is a slightly sweetened bun with a creamy egg custard filling.The name of the bun is somewhat misleading. There is no pineapple in it. It is called pineapple custard bun because the top of the bun has a crispy baked top that looks somewhat like a pineapple. The first time I heard of this bun, I thought it was a pineapple flavored bun. There are two "pineapple" bun varieties. One is with the custard filling and the either one without. Some bakeries add coconut flakes to their custards to give them a coconutty flavor. I prefer mine without the coconut flavor. My favorite go-to bakery for the pineapple custard bun in San Francisco is Mongkok Dim Sum on Noriega between 31st and 32nd Ave. I can not speak for their other baked goods and dim sum because I only buy their pineapple custard buns. I have tried many Chinese bakeries around the city - Chinatown, Clement, and Richmond Districts - but the best pineapple custard bun is definitely from Mongkok Dim Sum. I love the creamy custard which is not overwhelmingly sweet. The crispy "pineapple" top has a soft crunch to it. 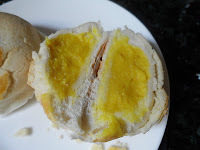 I also like that the entire bun is not artificially colored in yellow like most pineapple custard buns else where.